ApresFlex Review – Is This Product Safe To Use? The official website describes ApresFlex as a patent pending dietary supplement that is designed to stop joint inflammation. The producers claim that ApresFlex is more efficient than other supplements given their careful selection of ingredients used in ApresFlex. The product is orally taken to give this benefits. People who want to have excellent joint health. What is the Company Behind ApresFlex? 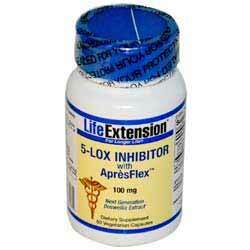 ApresFlex is sold as an all-natural dietary supplement. The producers taunt this product as the ultimate anti-inflammation supplement and they go ahead to claim that this product is manufactured for the fastest action. It has been touted as the best anti-inflammation product in the market today. It combines the power of herbal remedies to inflammation with modern day patent pending formula. The company behind this product is known as Laila Impex Research Center. This is part of Laila Nutra, a pharmaceutical company famous with producing herbal products in India. The company however ships far beyond India. They claim that they have decades of experience in dealing with herbal extracts and natural remedies to everyday complications. What are the Ingredients Used in ApresFlex? Boswellia serrate – It is used to treat arthritis and calm inflammation. It can be used both orally and topically. ApresFlex is designed to stop joint pain caused by joint inflammation. The main working formula of ApresFlex depends on its ability to fight inflammation. And sure it has the ability to fight inflammation given than it stops the production of inflammation causing enzymes known as 5-lipoxygenase. By stopping this enzymes, ApresFlex gives the joints the opportunity to defend itself and give it room to repair and heal. ApresFlex is thus touted to help joint regain their normal health by fighting joint inflammation. It is worth nothing noting that inflammation is the most abundant cause of joint and thus by fighting inflammation we can say we have fought joint pain. What are the Pros of ApresFlex? The product is made from all natural ingredients. What are the Cons of ApresFlex? The recommended dosage is three tablets daily. You should spread the three in three separate servings. It is highly recommended that you take this product with lots of water or with meals. In case you got the product from your caregiver, disregard this dosage instruction and follow the guidelines given to you. ApresFlex is a one active ingredient wonder. The product is designed to fight joint inflammation but some customers use it for much more than this. This is perhaps the reason the product is getting loads of negative reviews. When used for the purpose it was intended for, this product seems legitimately good. When used for any other purpose, it might pass as a scam. The bottom line is, ApresFlex is not a scam. ApresFlex is designed to fight inflammation only. The producers claim that by fighting inflammation, the give the joint room to heal and lubricate itself. Some people may argue that a joint product needs much more than fighting inflammation. This couldn’t be far away from the truth. ApresFlex fails to equip the body with the necessary ingredients needed to heal. We have reviewed other products that have the ability to stop inflammation and at the same time have the nutrients needed for a healthy joint. If you care about much more than the inflammation in your joints, then this product may not be what you are looking for.